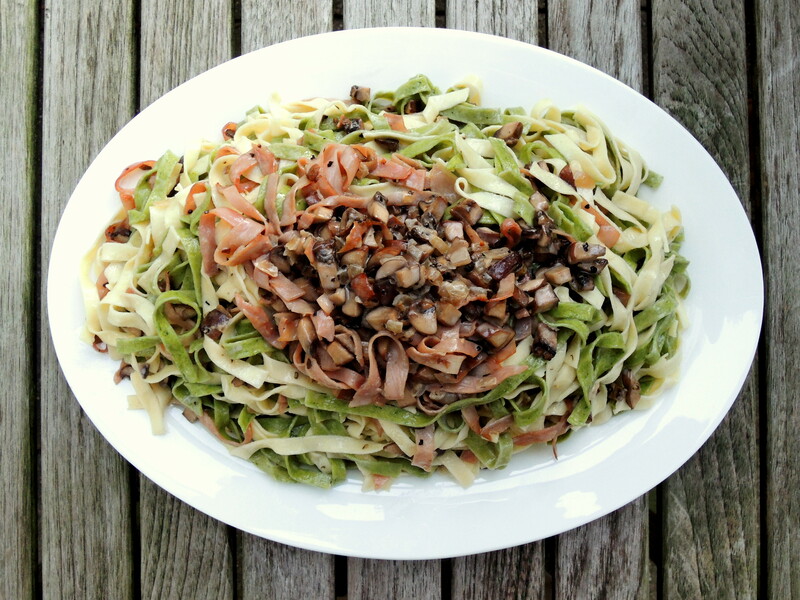 Fettuccine, “little ribbons” in Italian, is a thick, flat egg noodle popular in Roman cuisine. 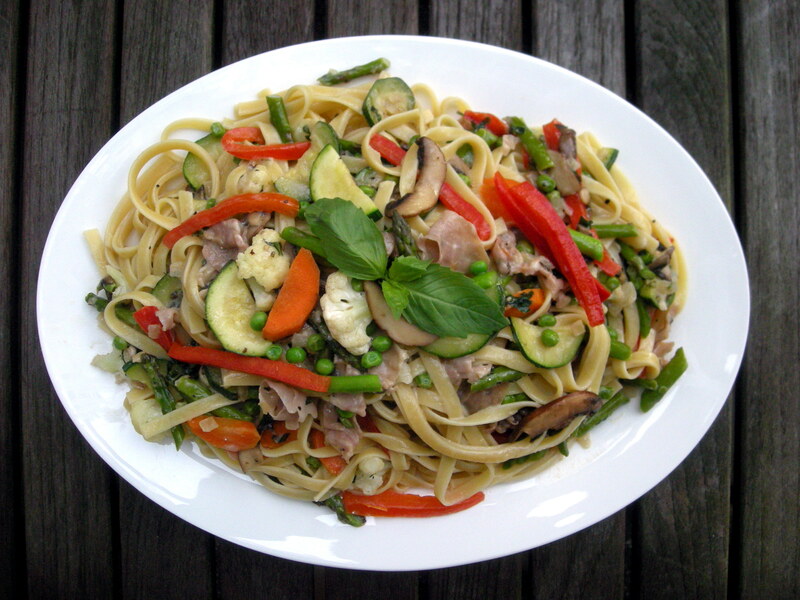 When most Americans think of fettuccine in a cream sauce, the first dish that comes to mind is fettuccine Alfredo, a dish that is virtually unknown in Italy and throughout Europe. 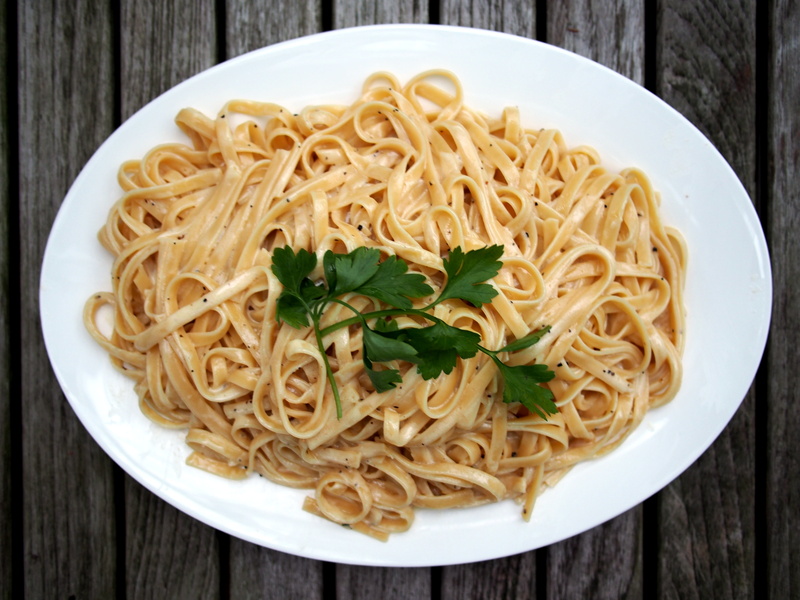 Pasta with butter and cheese, fettuccine al burro e Parmigiano or, sometimes, fettuccine in bianco, are well known to Italians, but Alfredo sauce is ubiquitous only on the other side of the pond. 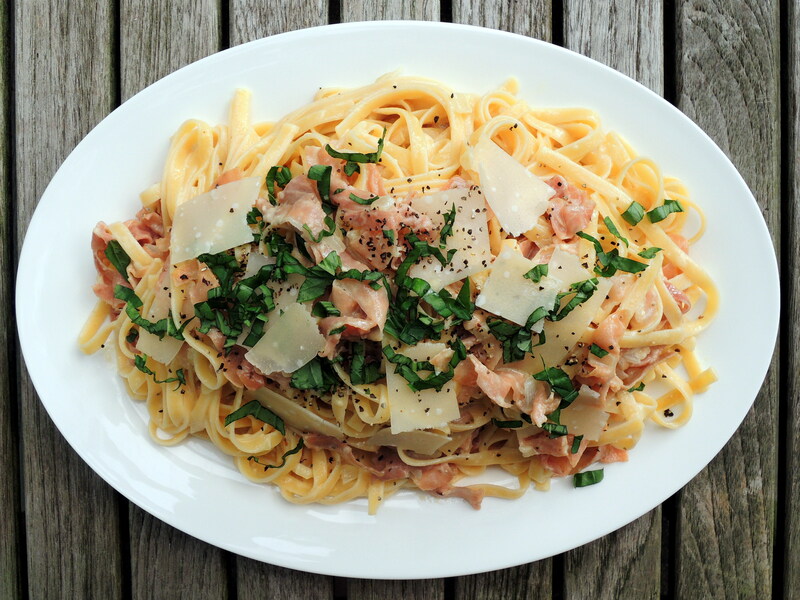 And, while American Alfredo sauces often feature cream, their Italian counterparts never do. Here’s why. 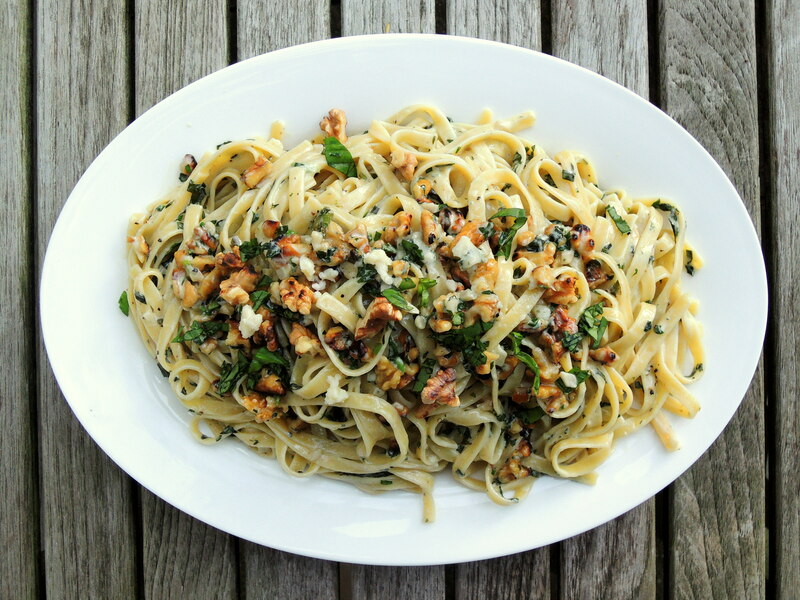 Alfredo Di Lelio created a dish made from fettuccine pasta tossed with Parmesan cheese and butter at his modest restaurant Alfredo on the Via della Scrofa in Rome in 1914. 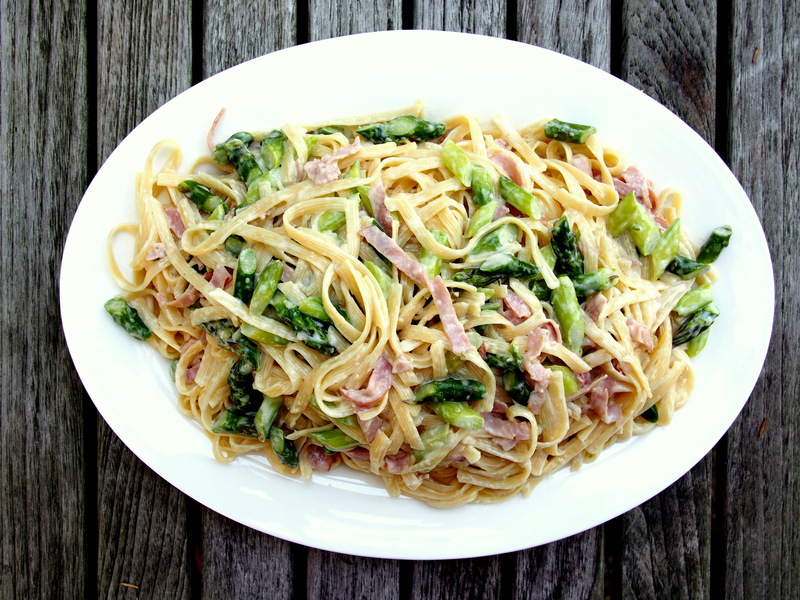 His dish differed from the traditional fettuccine al burro by tripling the amount of butter, adding it both before and after the fettuccine was put into the bowl. He claimed inspiration came when his pregnant wife was having trouble keeping food down (or, according to other reports, lost her appetite after childbirth). After he created this dish she began eating again, and Alfredo added the dish to his menu. 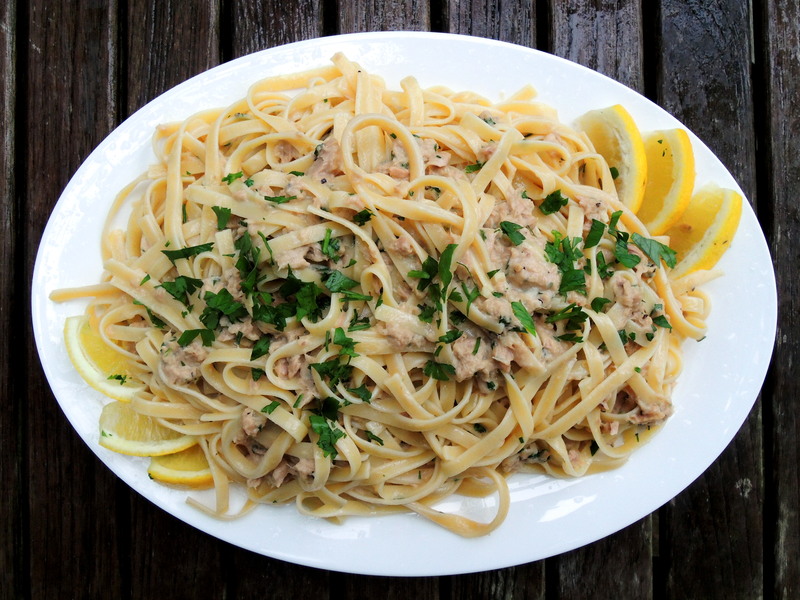 Fettuccine Alfredo migrated to the United States in 1927, when George Rector, an American writer and restaurateur, praised it in his Saturday Evening Post column. And then Hollywood sprinkled on a little glamour. Silent film stars Mary Pickford and Douglas Fairbanks dined at Alfredos when they were in Rome on their honeymoon in 1927, and fell in love with the dish. At the end of their stay they presented Alfredo with a golden fork and spoon for his use in tossing the fettuccine tableside, wearing a white coat and accompanied by a tenor and a violinist. Upon their return to Hollywood, the couple regularly served the dish to guests at their mansion, Pickfair, one of the first grand estates built in Beverly Hills. Over the years, guests at Pickfair included Albert Einstein, H.G. Wells, George Bernard Shaw, Amelia Earhart, the Duke and Duchess of Windsor, Charlie Chaplin and Rudolph Valentino. Word about the dish soon spread and the rest is American culinary history. American restaurants, adapting the new dish to their kitchens and clientele, sought ways to make it less expensive. Cream, and sometimes eggs, were added to the butter, cheaper American imitations of Parmigiano Reggiano replaced the imported cheese, and flour was mixed in as a thickener. 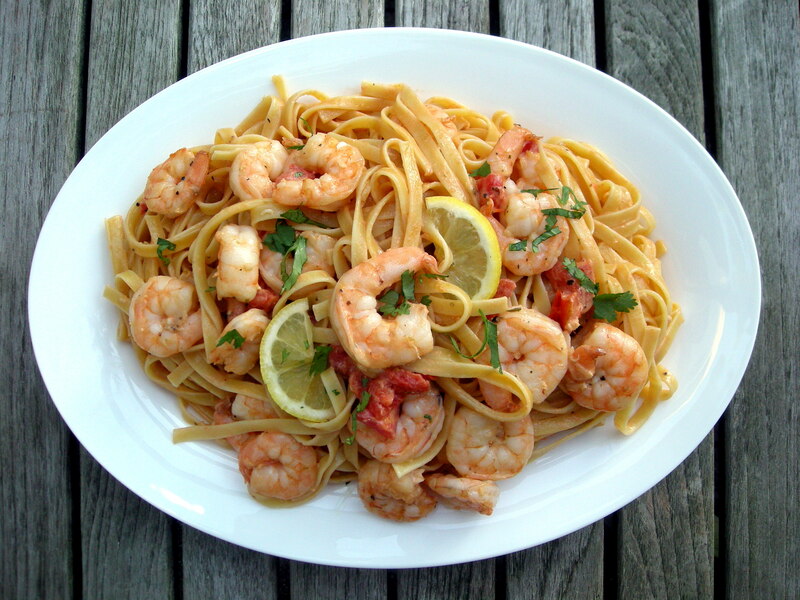 To make it a one-dish meal, chicken or shrimp and vegetables, usually peas, were added. And what about Alfredo? He sold his restaurant in 1943, and the new owner kept the name, menu, recipes and photo decorations. 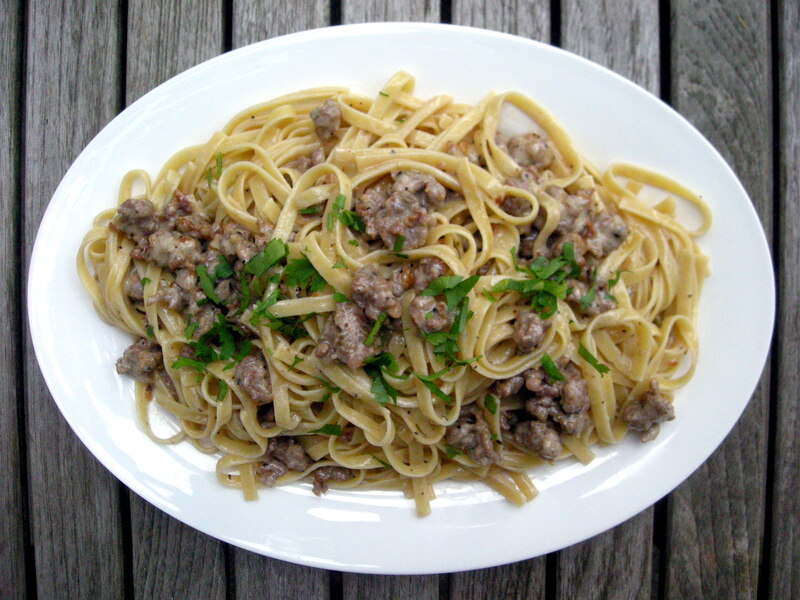 As of this writing in 2013, the restaurant is still in business as Alfredo alla Scrofa. Then, in 1950, Alfredo and his son, Armando, opened a new restaurant, Il Vero Alfredo, at Piazza Augusto Imperatore. That restaurant also is still in business, now managed by Alfredo’s grandchildren. And, in 1977, there was a foray across the pond when Alfredo II opened a new Alfredo’s near Rockefeller Center in New York City. Another Alfredo’s, subsequently closed, opened briefly at Walt Disney World in Lake Buena Vista, California. Following is an American adaptation, with cream.